"Lionel Messi #10 of Argentina looks on from the bench before playing El Salvador during an International Friendly at FedExField on March 28, 2015 in Landover, Maryland." When the biggest name in soccer comes to the United States, everyone wants to witness the skill. Lionel Messi made his way over to the nation's capital with his international club, Argentina, to take on El Salvador in an International Friendly. The hype was pretty unbelievable, and so were the crowds. 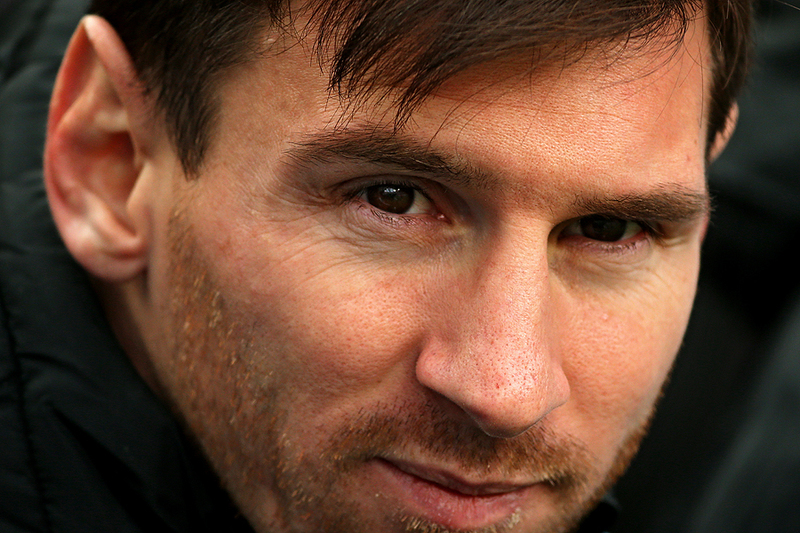 Unfortunately, due to an injury, Messi not only sat out of a practice the day before, but the game itself. However, being in the right spot, images on him on the bench were able to be shot before kick-off. What seemed like only a couple seconds, I was able to work images of the superstar that not only told the story of him sitting, but also gave clients a up close view of Messi. I don't get starstruck, but I would have enjoyed seeing what many call the best player in soccer take the field. Alas, I understand where his obligations are and creating a worse injury during a friendly match would not be great for his other club.